Here are some useful resources to help you do just that and make informed choices about your children’s online safety. You’ll find links to more relevant resources throughout our site. Click the logo to find out more. A Comprehensive range of support materials from Childnet. The Parents and Carers section is particularly useful and contains lots of advice on what you need to know. Click the logo on the left to visit the site. Please find below a range of excellent resources that can be used to make young people aware of potential issues that could affect their safety. CEOP now have their own Youtube Channel which has links to some fantastic resources for both parents and young people. The content is suitable for a broad age range and should be used to discuss the issues and potential dangers of using online technologies inappropriately. 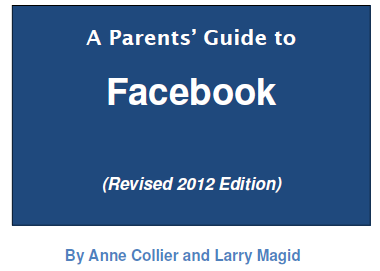 CEOP -The Parents and Carers Guide to the Internet. This online guide aims to equip you with the tools to have those tricky conversations with your children and keep your family safe online. A collaborative document designed to help parents keep children safe when using mobile technolgies. New 'Know IT All' resources for parents and carers highlights the gap that exists between childrens real experience online and adult awareness of these experiences. The site contains information about positive ways young people are using different technologies, what the risks are to users and it outlines practical advice in avoiding or minimising risks when using online and mobile technologies. We get a lot of questions about particular devices that children are using or asking for. This guide has been created to answer these questions and introduce some of the most popular devices, highlighting the safety tools available and empowering parents with the knowledge they need to support their children to use these technologies safely and responsibly. Click the logo for more info. Facts and information about the PEGI game ratings. BBC Webwise provides information and activities to help you get the most out of the internet, including safety and privacy for both adults and children. This is a website designed to help people take their first steps with computers and the internet. Registration is free and allows users to access a wide range of online courses that cover everything from turning a computer on to surfing the internet. This guide should help you to understand what 'Facebook' is all about, and how to use security settings to protect your personal information. An often overlooked area of eSafety includes the use of video games consoles and in particular, online gaming by children and young people. The links below provide some useful information to support parents, including how to address issues such as restricting access to age-appropriate games or limiting the amount of time children can play for. <?xml:namespace prefix = o ns = "urn:schemas-microsoft-com:office:office" />A letter from the Child Exploitation and Online Protection (CEOP) Centre as part of the 'Back to School' campaign for parents and carers to promote the positive steps that can be used to help safeguard children. The following are a number of Activity Cards produced by colleagues at Becta. Extract from the Orange Website: Like our other films, Safety Online & Incoming Message, this is designed to generate debate and discussion around the fears and concerns parents have about their children and their online behaviour. The film depicts children returning home from school, dropping their school bags and going straight to their rooms to go online. The resulting discussions from their parents are seemingly linked by a common concern about what their children may be up to. There are some positive messages about the internet as well as the negative so that the film has some balance. The call to action is for parents to download a copy of the Parents Guide (What Parents Need to Know) which as you know was re-launched in the summer. Whilst the Know IT All parental tools from Childnet International are an excellent set of resources, the link below relates specifically to the SMART rules in BSL. A useful document from next Generation Learning giving lots of parental advice on keeping children safe on the Internet. NetSmartz.org site gives parents advice on how to address Sexting with their children.